Creative Engagement Sessions are always a load of fun. No pressure so everyone is chilled out. 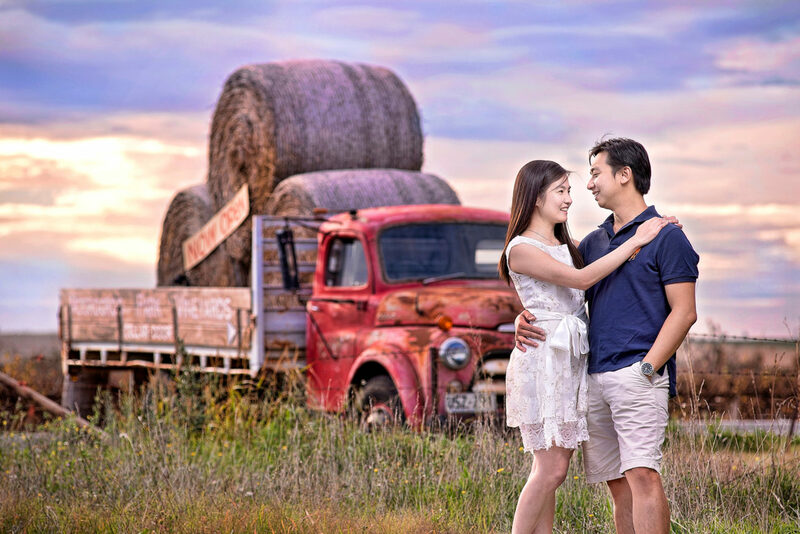 Yann & Chia’s engagement session was done on a Sunday afternoon in the Barossa valley – St.Hallett Wines. We started the afternoon at St.Hallett Wines and then worked our way around the beautiful Barossa valley. Driving around, stopping to have our couple posing with the amazing scenery in the background. The Barossa Valley is certainly a perfect location for creative photography. These precious moments were captured by Duncan & Ajanie from Dream Team Imaging, in the Barossa Valley.